The frame of your vehicle is like the foundation of your home. It’s imperative that it’s strong and precise before anything can be built or repaired around it. Metal repair and replacement is a critical phase. 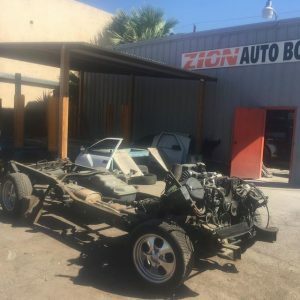 Zion Auto Body makes it a point to use original replacement parts and factory-approved repair procedures. All necessary corrosion protection procedures are used to meet or exceed factory corrosion warranties. With over 22 years of experience in the auto refinishing industry, our team offers fair and competitive pricing for both large and small jobs. Contact us today for your appointment.